Kids love this creamy, delicious high protein "banilla" smoothie. There's a lot of nutritional value in this 5-minute busy morning gluten-free and dairy-free smoothie. Use a frozen banana for an extra-creamy texture. Pour 2 cups of chilled dairy-free milk in a blender. 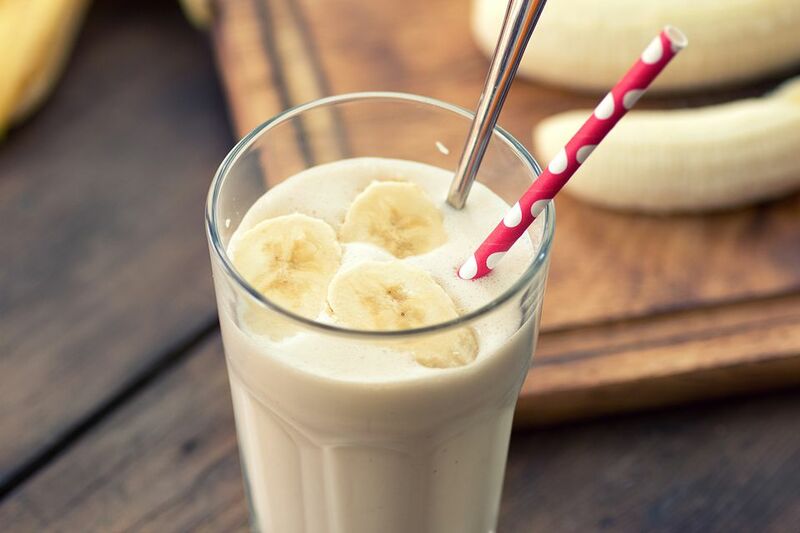 Add protein powder, frozen banana slices, and vanilla. Serve garnished with a dash of nutmeg (optional). Reminder: Always make sure your work surfaces, utensils, pans, and tools are free of gluten and dairy. Always read product labels. Manufacturers can change product formulations without notice. When in doubt, do not buy or use a product before contacting the manufacturer for verification that the product is free of gluten or dairy.